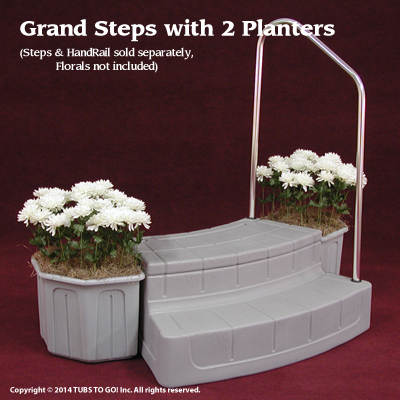 Made of sturdy molded plastic to match the Grand Steps, they accommodate artificial flowers and are durable enough to accommodate real plants as well. 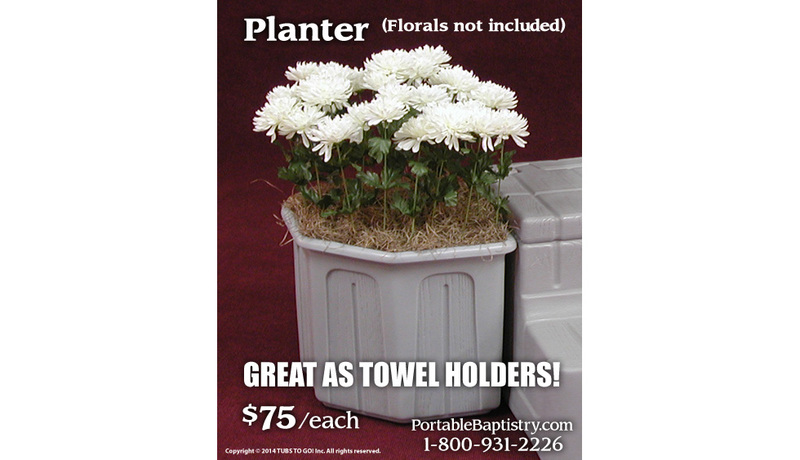 These Planters are also especially handy for holding Towels to accommodate wet candidates as they exit the Portable Baptistry. NOTE: The Planters are listed here individually. If you prefer to purchase 2 Planters as a matching set to place on each side of the Steps, please choose below. NOTE: Grand Entry Steps and HandRails are sold separately. Which color Towel Bin/Planter is right for you?